Get ready to meet some new neighbors: earlier this year, Forbes named Orlando one of the top five fastest-growing metropolitan areas. Orlando also has one of the fastest job growth rates among large metro areas, attracting people from all walks of life to the City Beautiful. Once you’ve committed to moving here (or if you’re a current resident looking to upgrade), you’ll need a place to call home — but buying and selling during the winter months presents a challenge. “Traditionally, we see the majority of the year’s real estate transactions happen in the spring and summer,” says Swathy Prithivi, the General Manager of an innovative new real estate company called Opendoor. But that doesn’t mean that you have to wait until spring to make your move to Orlando. “Our data and research show that acting during the off season may be a buyer’s best bet for landing their dream home,” stresses Prithivi. Here’s how Opendoor is revolutionizing the buying and selling process to help you find the house you deserve, especially during Orlando’s off season. “Our vision is to offer a new, incredibly simple way to both buy and sell a house,” says Prithivi. “We’ve completely reinvented home sale from beginning to end with the goal of giving time and sanity back to homeowners. Instead of wrangling a realtor to list your home, finding the perfect lighting and angles for appealing pictures online, and keeping the place spotless for short-notice showings, selling your home to Opendoor starts with a 10-15-minute questionnaire on their website. You’ll share some information about your home, then you’ll receive a competitive offer from Opendoor. If you choose to accept the offer, Opendoor comes in as an all-cash buyer. Following a home assessment, you’ll have the option to close on a flexible timeline, leaving you free and clear to move whenever you need. You can also can skip the hassle of repairs and pass the work on to Opendoor. Their in-house team and network of vendors asses any needed repair costs and give you the option to either make the repairs yourself or deduct the costs from your proceeds. They’ll then take care of the repairs after you’ve left and list your home on their website and app. Instead of coordinating between multiple realtors and family members to come up with a good time for a showing, Opendoor is revolutionizing the customer experience with features like on-demand tours and home advisors to guide every step. “You can browse hundreds of homes on the Opendoor app, find available homes in your price range, and tour them any day of the week from 6AM to 9PM,” says Prithivi. Buyers can even unlock the homes using their phone as a key, during that 15-hour window, seven days a week — no coordinating with realtors or sellers, just an opportunity for you to take your time and envision your life in a well-maintained residence. Once you’ve picked your dream home, you can make an offer directly through the Opendoor app. 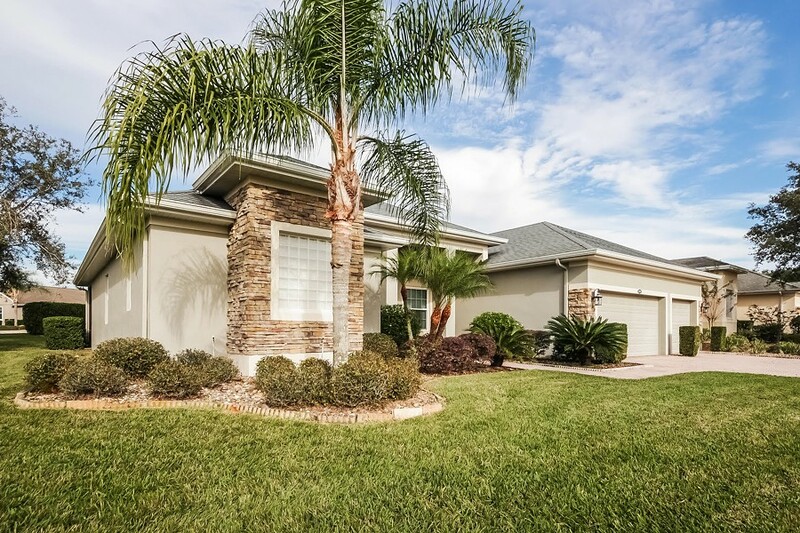 Opendoor currently has 250 homes listed in Orlando, and that number is growing every day as more home sellers and buyers discover this streamlined service. However, since the market is traditionally slower during the holiday months in Orlando, you could find a deal on a house that’s beyond your reach during the summer months. That extra bathroom, modern kitchen or gorgeous, landscaped yard you’ve always wanted can become a reality during December, January, and early February. If you want to find a new place to call home before spring has sprung in one of the fastest-growing cities in the country, check out Opendoor’s Orlando listings at opendoor.com/homes/orlando.